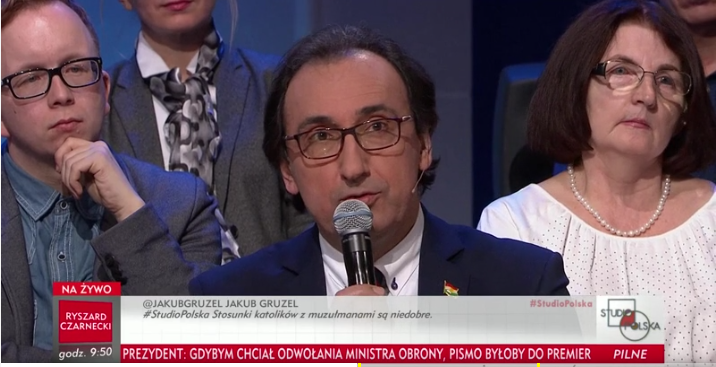 Saturday, March 25- Ziyad Raoof KRG Representative to Poland was a guest in the live television program “Studio Polska”. 3 days after terrorist attack in London, the program was devoted to the discussion about terrorist danger and the state of safety in Europe and Poland. In his first appearance in the program Ziyad Raoof pointed out that it is unfair to blindly link Islam and terrorism. ISIS instrumentally uses religious rhetoric and Muslims are largely victims of Islamic radicals, for example in Syria. KRG Representative accused Europe of inaction which contributed to the growth of fanaticism and defeat of moderate powers in Syria at the beginning of the Arab Spring. Then Europe passively observed ISIS invasion on Iraq and Kurdistan. Ziyad Raoof emphasized that Kurds turned out to be the only one effective power that stopped ISIS. In the second part of the program there has been discussion about was of increasing safety in Europe. Ziyad Raoof once again pointed out that the best way to protect Europe is to support Kurdistan Region which combat ISIS and simultaneously is peacefully, tolerant country and credible partner of the West.